Firstly, sorry for my inconsistency in posting. I was on a trip, then had a conference over the weekend, so time and energy has been a bit limited! Again, I didn’t feel too much like I was in a foreign country – or Latin America. The time difference from New York is only one hour, the weather was late summer/early fall which was a bit of a trip when spring is just emerging here in North America. The architecture is distinctly european… which might come as a surprise for those unfamiliar to Buenos Aries. The Argentinian people are very open about sharing the fact that their history uniqueness is limited because they come from immigrants primarily from Spain and Italy. – Maté – a tea sipped in Argentina through a special receptacle, tea leaf and metal straw. It is shared in a group and part of maintaining a face-to-face social interaction among friends and neighbors. – Dulce de Leche – yum. Caramel in the best form ever. Not too drippy, too sticky. And perfect on absolutely everything. I ate this DAILY. Joe was stuck on alfajores, a dulce de leche hostess-style pastry sandwich. 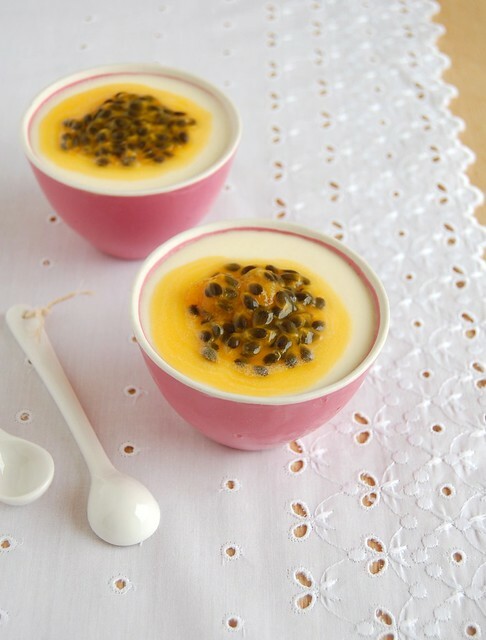 – Passionfruit– My other daily indulgence was a small cup of passionfruit mouse with passionfruit seeds. The tangy sweet flavor became a morning craving after just one bite. – Late nights – like Spain, Argentinians like their nights to be late. Dinner at 10 is common, although I don’t think I ever actualy ate that late when I was there. The club scene and tango scene really doesn’t start until 12 or 1am. Much like it’s larger Parisian counterpart, Pere La Chaise, the masauleums, tombs, and statues stand like miniature Rodeo drives with caskets instead of merchandise. A lot of people find cemeteries creepy, I being one of them, but the neatly lined rows and creativity in after-life choices made for interesting photography and sightseeing. 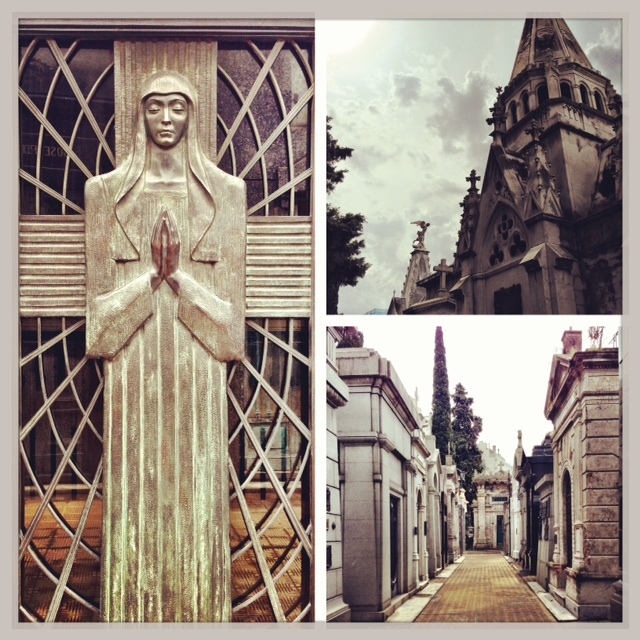 The main draw for the cemetery is the grave-site for Eva Peron. There are a few opportunities to learn about the first lady of Argentina. Her legacy is more idol-based than actually substantive… while she did visit and represent the workers of Argentina… she was of legend because she died so young… at age 33 of cancer. The former actress was the first woman to vote in Argentina, and was the second wife of President Juan Peron. When she passed, the militia took her body and sent it to Italy where it was buried for 16 years. The body was found and brought back by Juan’s third wife, to be buried in Argentina with her family in Recoleta. There is a museum dedicated to Evita that is the home of her foundation. The museum describes the life and times and philanthropic efforts of Evita and her foundation. In the main plaza resides the Catholic church, National bank and Casa Rosada or the Pink House. Casa Rosada is the site of the many speeches political officers of Argentina. 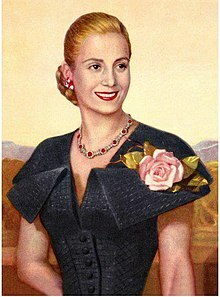 Eva Peron also addressed the crowd in the Plaza when she opted not to run for VP. Today it is also the site for many protests and demonstrations… and the current president, will work from Casa Rosada a few days a week. A massive bookstore that used to be a theater. A interesting concept. While perusing your Spanish language books, look up a the balconies, lights and murals that grace the El Ateneo, or have an espresso on the stage-turned-cafe. And on the topic of theatres, Teatro Colon is the crowned jewel of Argentinian theaters. Pavarotti once mentioned the theater was perfect, because it could hear every imperfection… so you as a performer MUST be perfect. Tours are offered every hour, but check for the ones that offer them in english. I actually took two tours and they were slightly different. One took us to the best seat in the house… the other took us to the presidential suite. The theater is very breathtaking and I could only imagine an actual show would be an amazing experience. I wrote a bit about the Tango in one of my previous posts, Who Da Man. The group I was with had a group tango lesson. The lesson instructors were the performers that we would later see at the Rojo Tango Show at the Faena Hotel. The show was in a very intimate space, seating around 100 people or fewer. There is a live band with Bandoneon players, and live singers. There were several performances of tango, some more modern, some for traditional. Dinner is served at the show, and the steak only required a butter knife to eat. On top of the show, the Faena pool bar and and bar were amazing. The atmosphere, scents and music left me wondering if I was still in LA or actually in BA. 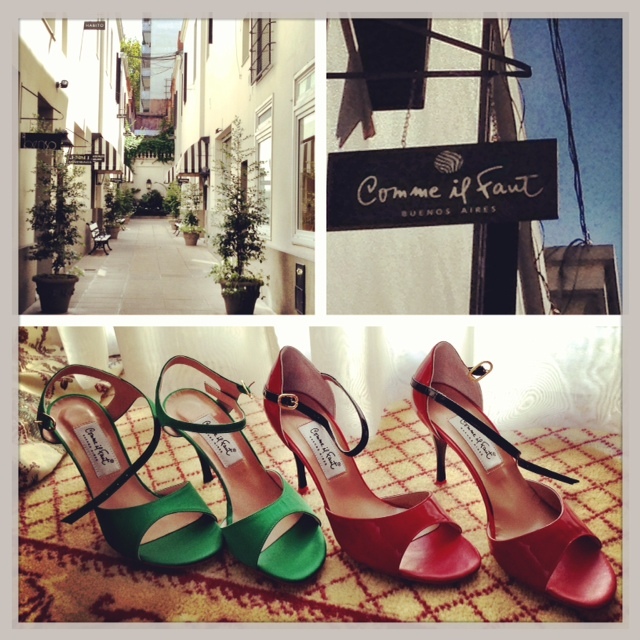 Another stop for me was Comme Il Faut, a famous brand of tango shoe. I’m not planning on becoming a tango dancer, but I do appreciate a high quality shoe with comfort and a bit of flair. I ended up with two pairs… I wish I had bought more. The shop is in a tiny alleyway, upstairs. You must ring a door bell to be let into the show room, and from there, the employees will begin bringing out boxes and boxes in your size. They won’t bring out the same shoes for everyone… they take a look at you and determine the best styles for you. You can take a peek at the other patron’s boxes, because I promise you- your selection will be different from theirs… the shoes are all unique one-of-a-kind works of art. Boca Juniors, one of two soccer (futball) teams in Buenos Aires has a VERY loyal following. 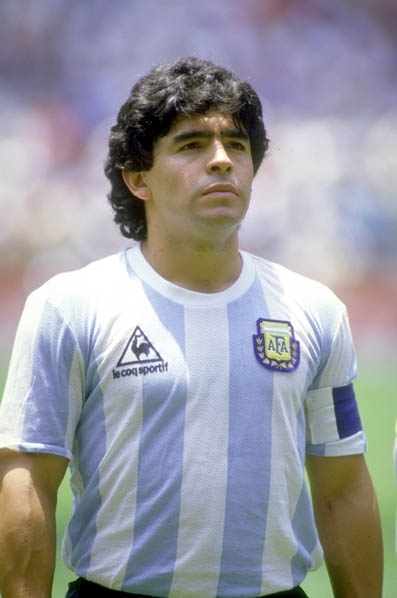 It is well-regarded that Diego Maradona, Boca Juniors player, is one of the best footballers of ALL TIME. Yes, the Michael Jordan of soccer. We were able ot take a private tour of the Boca Stadium, also known as the Box of Chocolates, or La Bombonera . The stadium was built in 1953 and the team was established in 1905. The cute and quirky thing I found about this stadio that seats 49,000… is that is it plopped right into a cute lil residential area. It’s like a miniature RoseBowl. 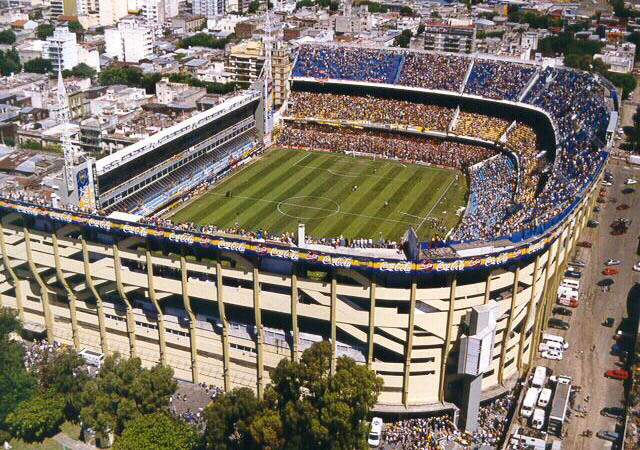 The people of Argentina are very passionate about their futball, and the games at La Bombonera are regularly sold out. 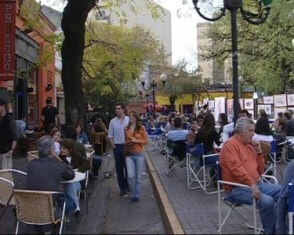 La Boca is a cutey-patootey area on the outskirts of BA. The most famous walkstreet is Camanito… a street where restaurants, bars, tango dancers, musicians and artists all flourish. The streets are surrounded by the originally houses and buildings built of the leftovers from the dock- metal siding and tin roofs, all painted in bright colors. The original inhabitants had little money and could only use leftover paint and supplies, hence the birth of the colorful environment. The street today continues to maintain its colorful decor and vibrancy. My only regret was being able to spend a little more time there. El Zanjon is believed to be the site of the original settlements in BA in 1536. 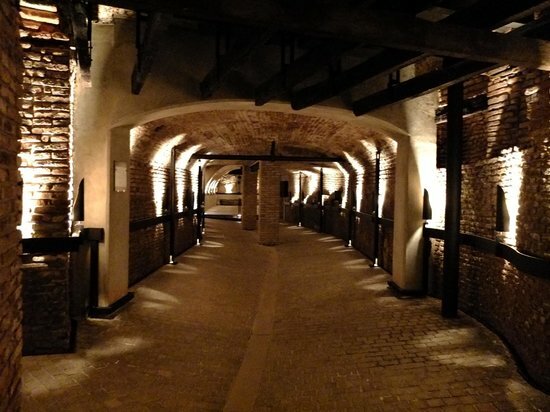 The underground labyrinth reveals the early history of Buenos Aires. Attached to the underground city are event spaces for wedding receptions, etc. We were able to experience a dinner, tango entertainment and dancing, and an Evita impersonator while we were in attendance. The space reminded me a lot of the wine tasting caves of Napa valley. Warm brick, inviting lighting and open space. The little plazas and streets of Palermo remind me of Melrose Avenue meets Italian plazas. Cute funky shops, trendy restaurants and nightclubs pack the streets in this area of town. We stopped off and had a multitude of empanadas, then a Dulce de Leche ice cream cone… heaven. The Metallic Flower is a large structure akin to the Chicago Bean or the like. Apparently it rotates (depending on the day/time of day) and has colorful lights and water when available. That’s pretty much it on that. The Malba is the Museo de Arte Latinoamericano de Buenos Aires. It contains local works along with a permanent collection of famous latin artists like Freida Kahlo and Fernando Botero. At the time only one floor was open, but they do have temporary exhibits available throughout the year. 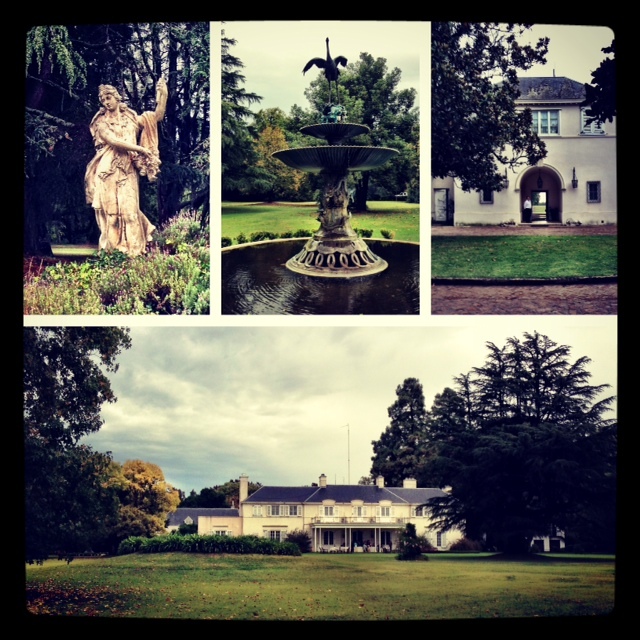 We spent one full day and a two-hour-each-way drive to the gorgeous Blaquier Estancia- Estancia La Concepcion. The official meaning of an estancia is cattle ranch… but this property has been converted into some amazing grounds. There is a main house with nine bedrooms and baths and huge patio area for drinking, dining, hanging out. The property boasts stables, guest house, a chapel, tennis courts, pools, pond, and acres and acres to stroll or ride horses. 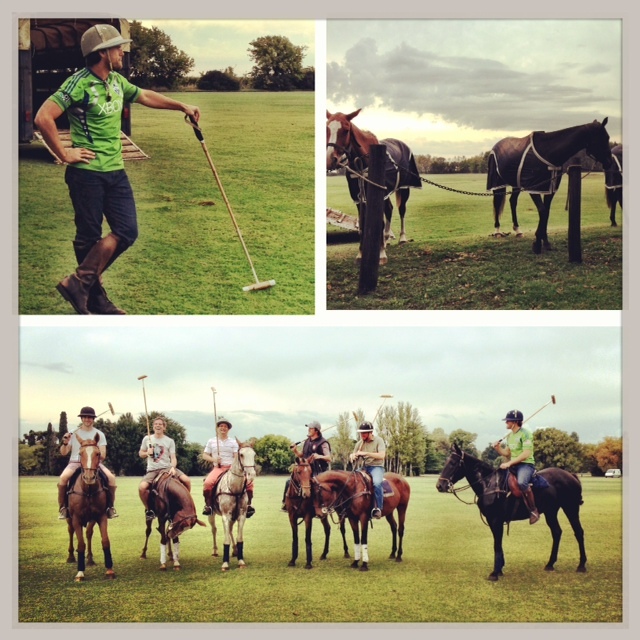 The polo horses were brought out for our Easter brunch, where several members of our group learned how to play polo, then played in a match. The local team came out to have an exhibition match as well, but we ended up getting rained out, so we didn’t get to see it come to fruition. The fall colors and vast green belt was the perfect environment for an Easter Argentinian barbecue among friends and colleagues. Overall, I thought Argentina was lovely. That is the word I would use to describe it. There weren’t the spicy smells of an Asian market or the overly modernism of Tokyo, it was a lovely mix of refinement and culture. I miss Buenos Aires. It was a pleasant, lovely place to spend a week.